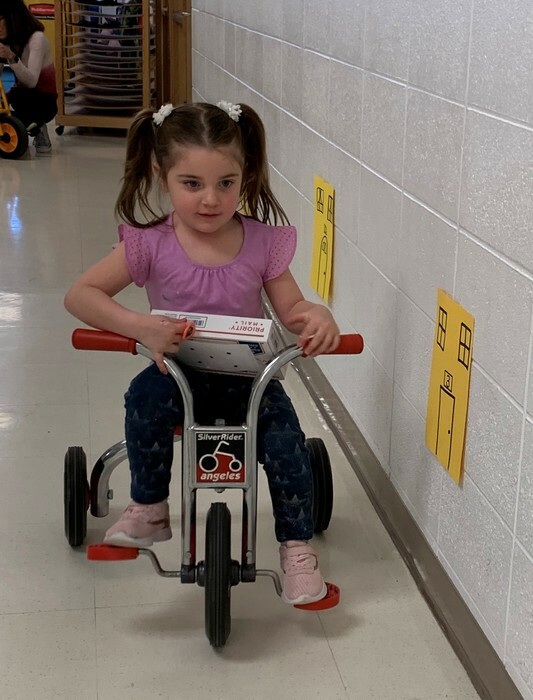 Ms. Torres’ preschool students at Lester Crawl Primary Center worked on number recognition and developing their gross motor skills while delivering packages. 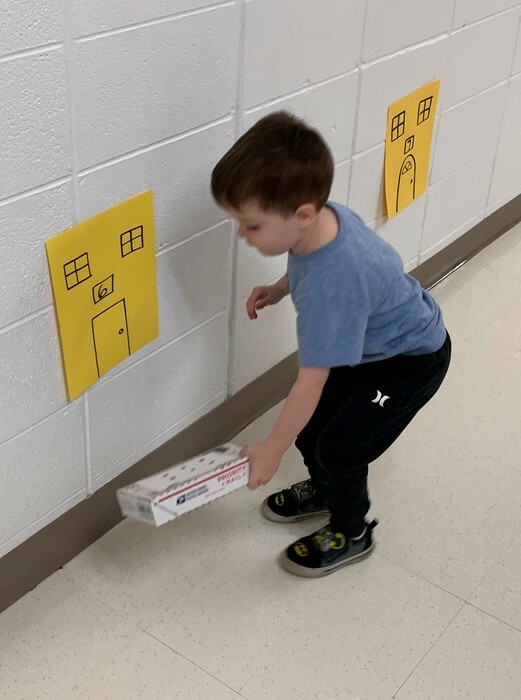 The packages had either a number or a dot pattern on them for the children to identify and match to the corresponding house. 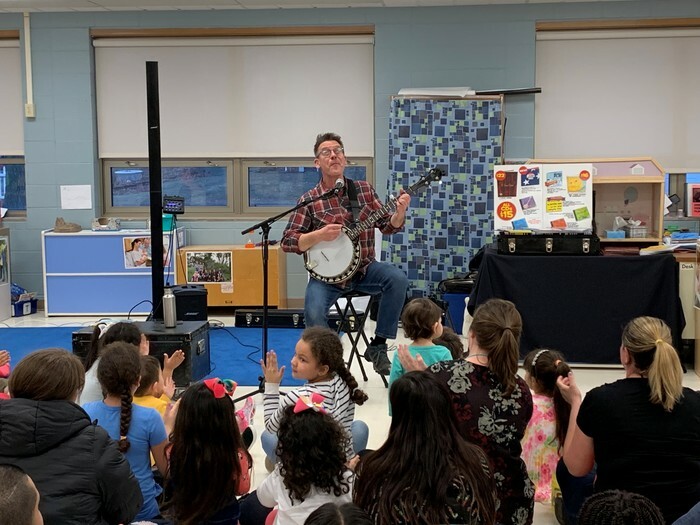 Jim Gill, a children’s musician and author, led a family concert at Lester Crawl School. 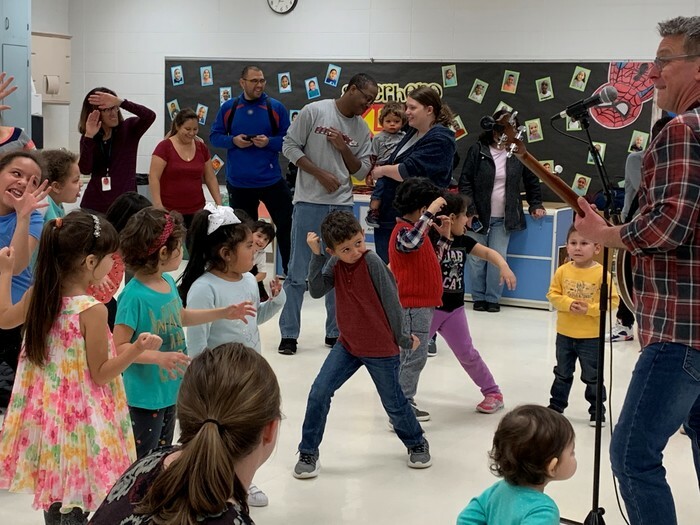 The families clapped, jumped, danced, and sang together and had a joyous time. Lester Crawl student, Calel Williams, won 2nd place in the national contest for Smile of the Year through Inter State Photography Studio. 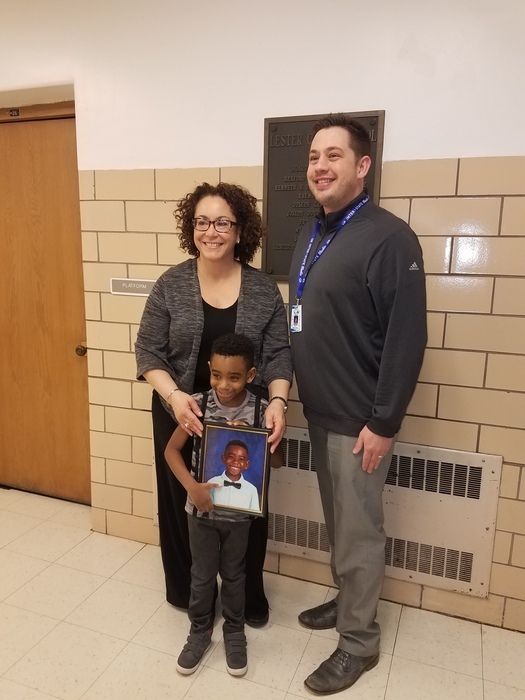 Pictured are Calel, his teacher Mrs. Lori Newell and a representative from Inter State Photography Studio. 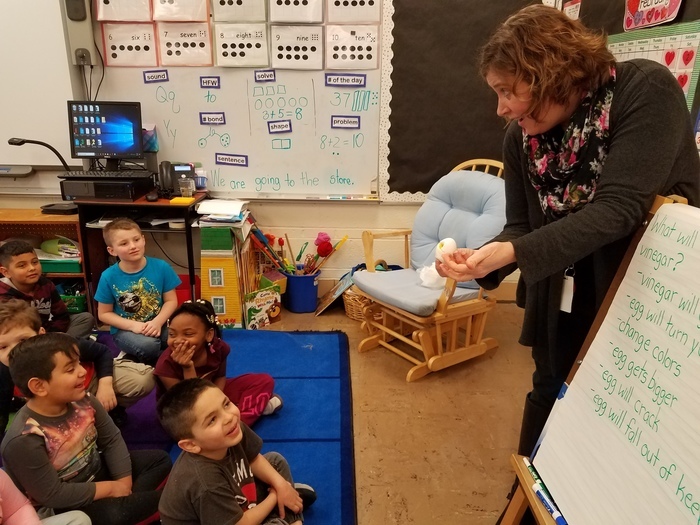 Kindergarten students at Lester Crawl are learning about teeth using hard boiled eggs. An experiment was performed to see what would happen if a hard boiled egg was put in different liquids. 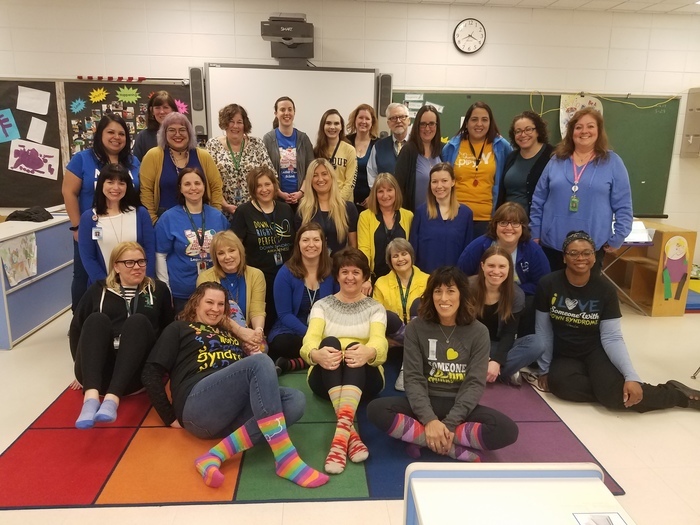 After students made their predictions, they observed the results. The shell in this picture dissolved after being put in vinegar and the egg acted like it has a cavity! 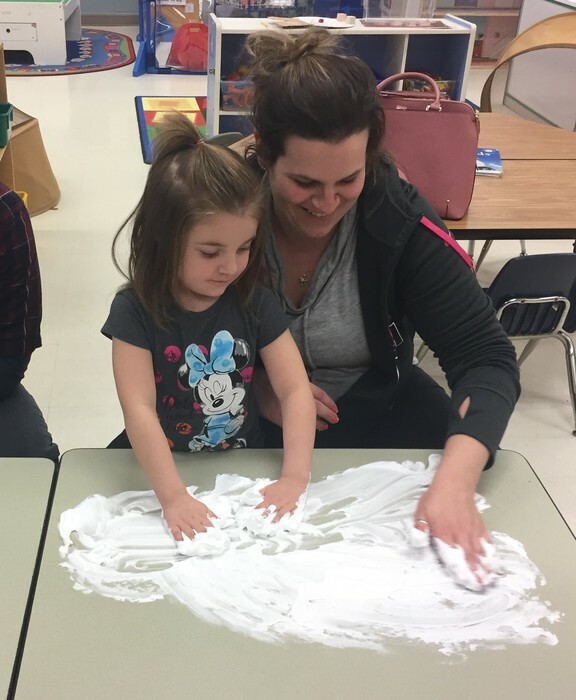 Lester Crawl School held a “Tech Free Night” for their families on Tuesday, February 19. 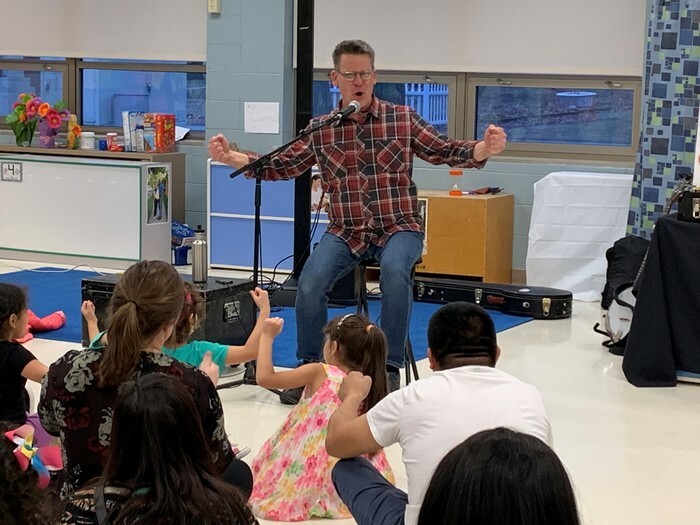 The evening began with stories read by our guest readers: Board Vice President Mrs. Long, Superintendent Mr. Schilling, and Physical Education Teacher Mrs. Yonkers. 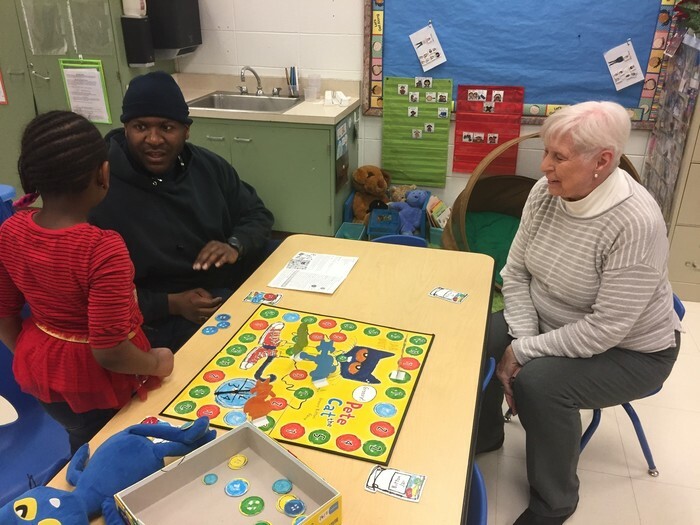 Families were then able to enjoy quality time playing various board games with each other. 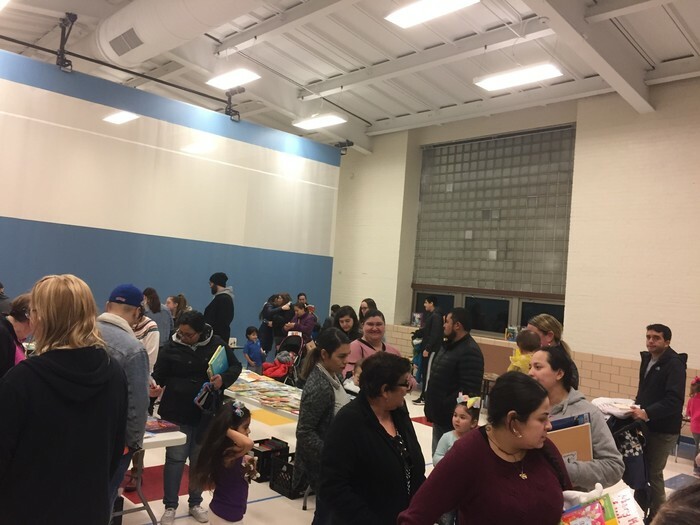 The evening concluded with the attendees being able to select books to bring the joy of reading home. 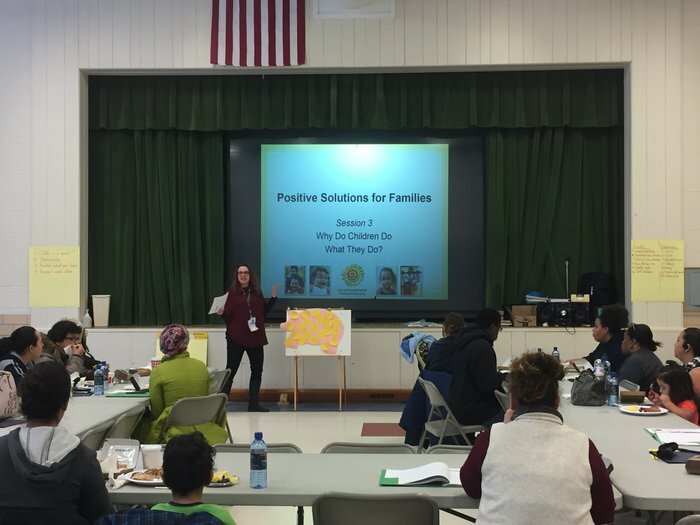 Lester Crawl’s Parent Resource Specialist, Mrs. Halper, led a Parent Cafe this week on Nutrition and Healthy Habits. 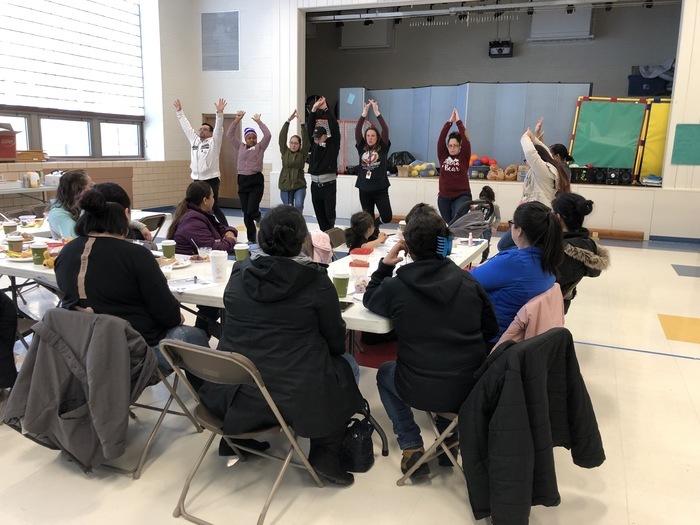 Parents of preschool children participated in a snack challenge and were introduced to yoga poses that our students learn at school to calm their bodies. 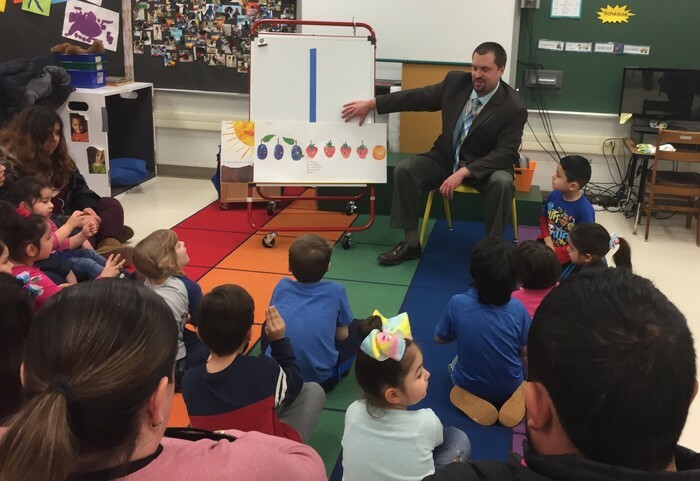 If you look carefully, you will see some parents with ear pieces that allow them to hear the presentation in Spanish. District Interpreter Mrs. Boshears was doing the translating. 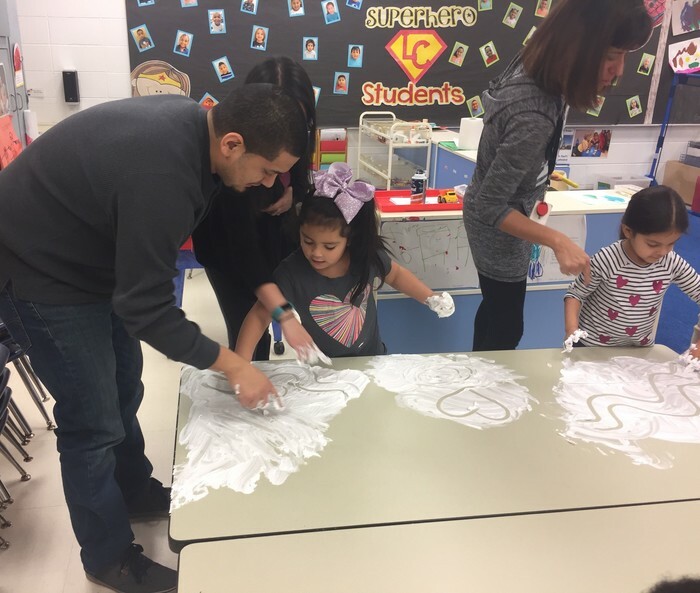 Parents and their Pre-K students spent quality time together at Parent Activity Night at Lester Crawl School. 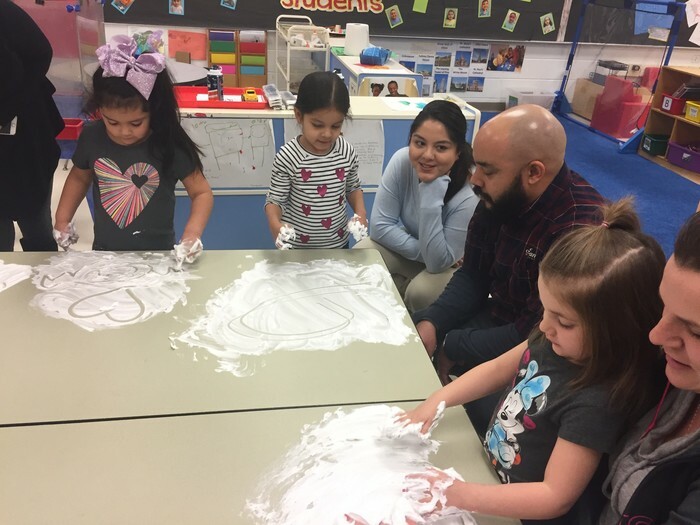 They participated in fun activities that reinforced the skills being developed in the classroom. 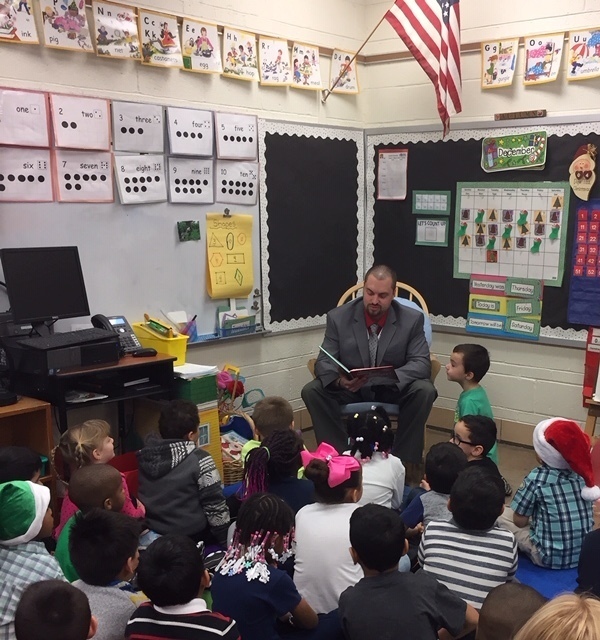 Superintendent Mr. Schilling read "How the Grinch Stole Christmas!" 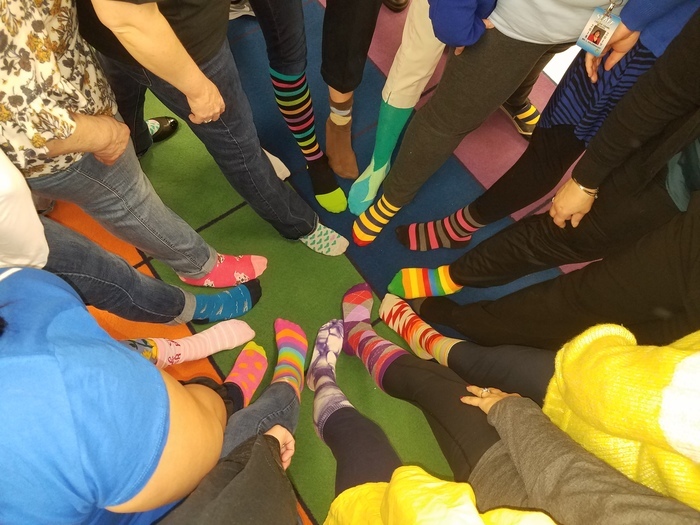 to K-1 students in Mrs. Myers' and Mrs. Okroi's classes at Lester Crawl Primary Center the day before winter break. 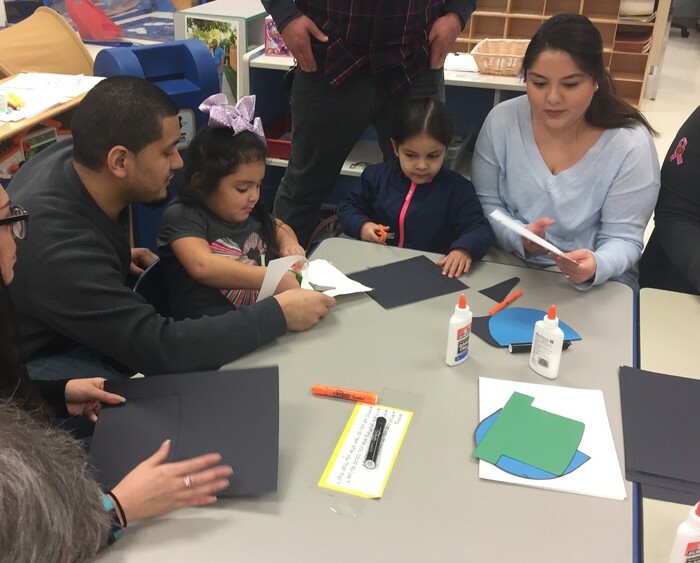 Lester Crawl School’s Parent Resource Specialist Mrs. Halper led a Parent Cafe titled “Positive Solutions for Families" - a time for parents of preschool children to share ideas and learn new strategies to assist with social emotional development.